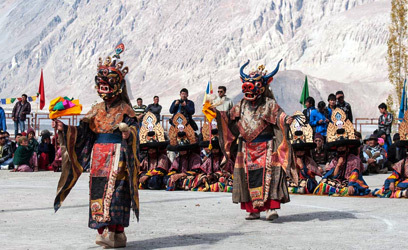 Celebrated for two days, Yuru Kabgyat Festival in Ladakh is an essential event for the followers of Buddhism. 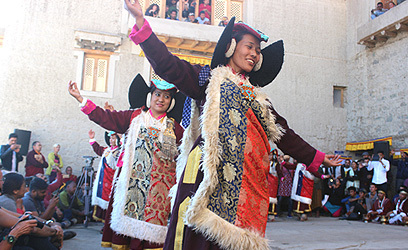 The festival is celebrated with great zeal and enthusiasm at the Lamayuru Monastery. 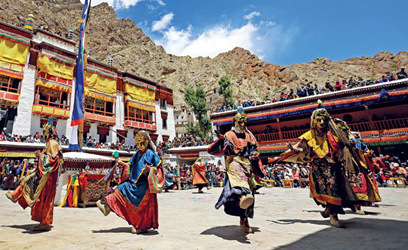 The fiesta enjoys such popularity that Buddhist from worldwide and Lamas from Tibet, Japan, Korea and China head towards Leh-Ladakh to attend the festival. 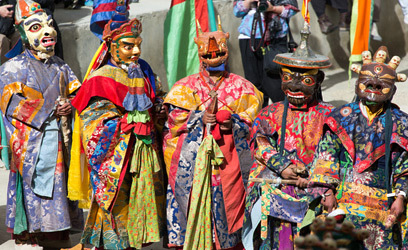 Natives and tourists could be seen marveling at the masked dance performances lasting for several hours. 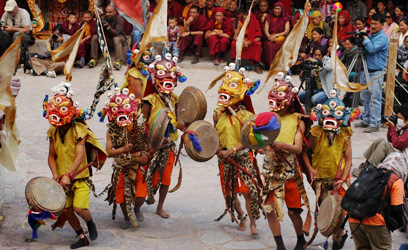 The Yuru Kabgyat Festival is celebrated at the pre-historic Lamayuru monastery in Ladakh, thereby increasing its cultural significance. 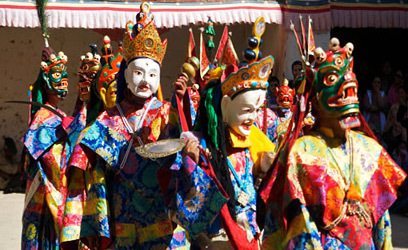 The festival is celebrated usually in July and is attended by lots of people. 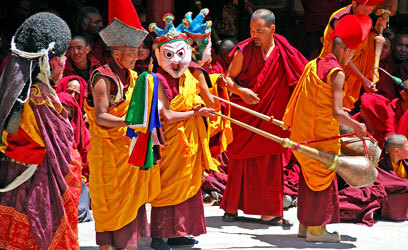 Sounds from the gigantic pipe reverberate many a times in the monastery during the entire festival. 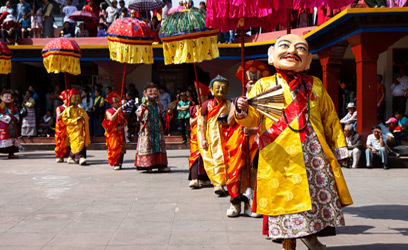 Prayer wheels are also a major highlight of the Yuru Kabgyat Festival. 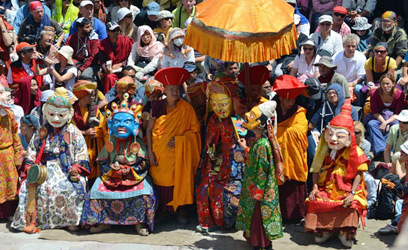 The festival offers excellent opportunities to get insights about the Buddhism and understand the teachings of Buddha. 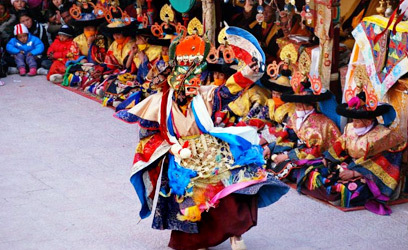 Monks from far and near perform the masked dances in order to please the deities who in return keep the evil spirits and disasters at bay. 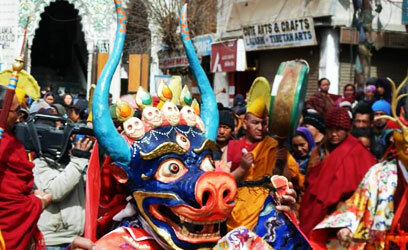 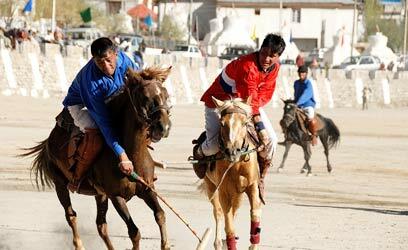 Lamas from various countries come here specifically for the event and dress up accordingly to raise the fun quotient. 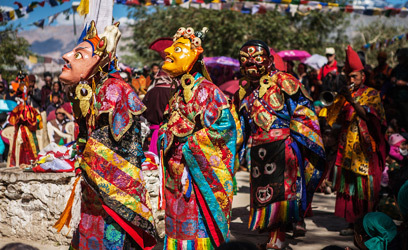 The breathtaking festival is incomplete without the ‘Chams’. 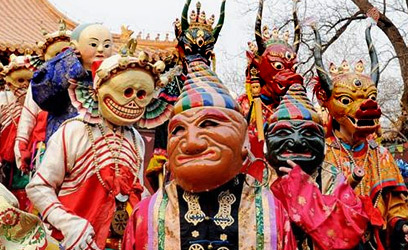 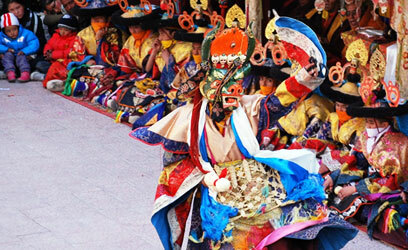 In Cham masked dance, monks dance in circular motions, adorned with huge masks. 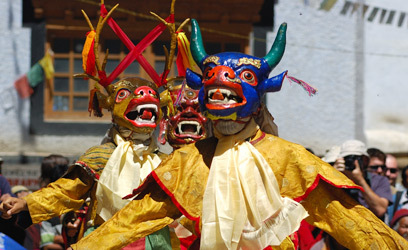 The dance movements compliment the sounds of cymbals, drums and long pipes. 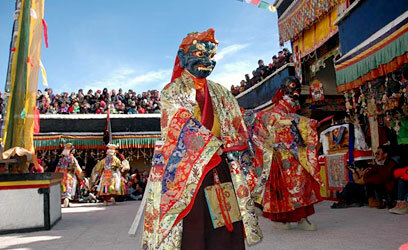 At the end of the festival, sacrificial offerings are made and some sacred rituals are performed. 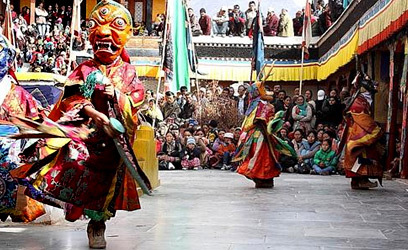 This year, the Yuru Kabgyat Festival will be celebrated from 29th June 2019 to 30th June 2019. 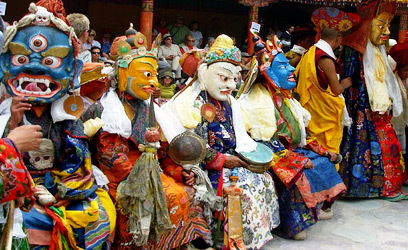 So choose a Ladakh tour package and be a part of this amazing gala.